Before heading out on my overseas sojourn (actually, on the morning of the day I left! ), I made a super quick visit to the Metro Gallery to view the new exhibition H O M E by Tom Adair. Why? Because I could simply not miss his work! And I’m so glad I did. Here’s why. Tom Adair is a Melbourne-based artist whose beautifully constructed artworks are made with an innovative airbrush technique he calls ‘a refined form of graffiti’. He works with many different mediums – such as dibond and neon – to create unique works that combine architecture and street art; two things I’m crazy about! His current exhibition focuses on the longing for the idyllic family home. It’s also a celebration of Aussie architecture, with a slight nod to his professional career in the interior design space. Tom used a meticulous creative process to produce each ‘home-based’ piece. 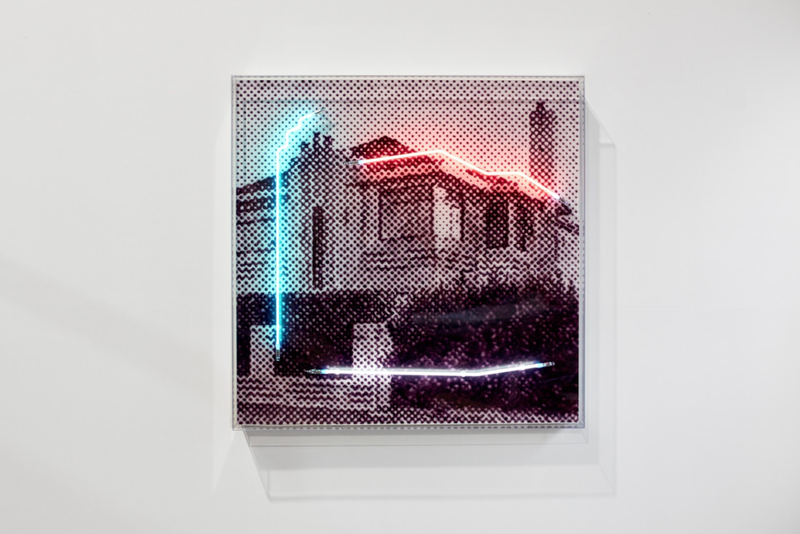 He first photographed each dwelling and then created digital halftone renderings. From there, he slowly airbrushing them by hand and finished them off with strategically placed neon lights. The addition of the neon lights is pure genius. 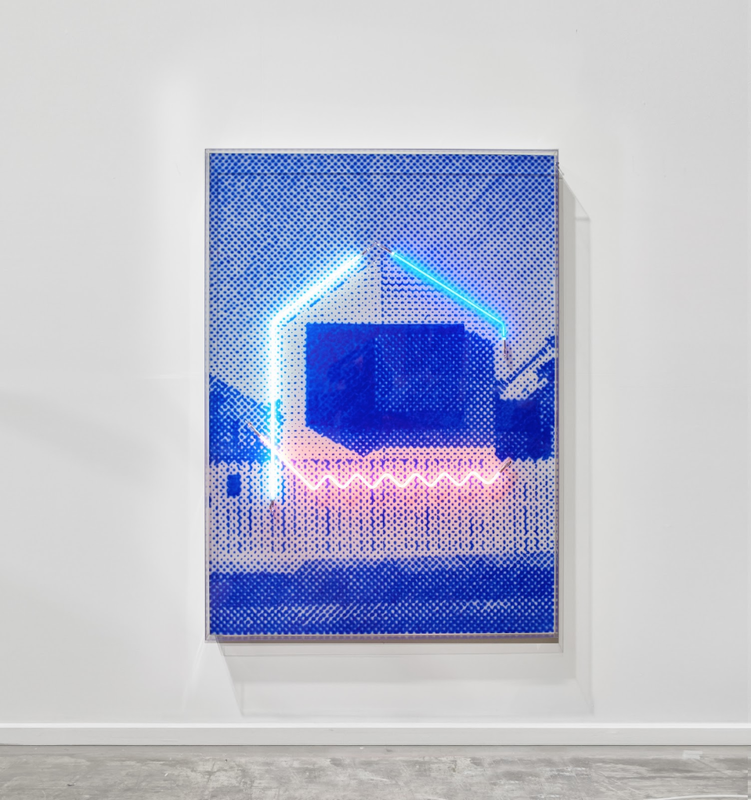 They cleverly entice the viewer closer to inspect the work and experience the frisson between the electricity of the lights and the soft airbrushing. I love their addition, but I also think the titles of the pieces are on point too with their cheeky take on real estate property write ups (Golden Opportunity with City Views or Situated in a Green Leafy Street)! As for the man himself, I was lucky enough to meet him at DENFAIR earlier this year. We had a great chat and I was struck by his humility and his openness to talk about the inspirations behind his work. So if you’re in Melbourne town anytime between now and 29 September, get yourself down to the Metro Gallery to view H O M E. I know you’ll love it!